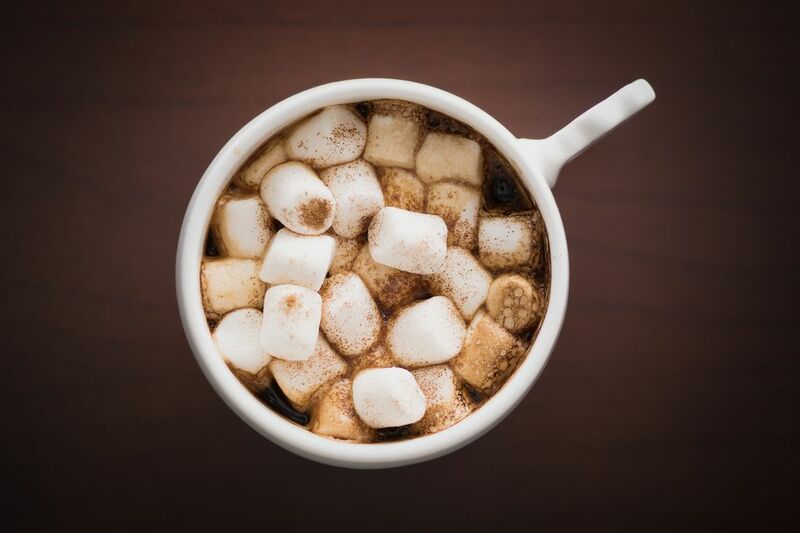 Most people use the terms "hot chocolate" and "hot cocoa" interchangeably as they're both hot and chocolatey, but they're not exactly the same thing. Technically speaking, hot cocoa and hot chocolate are two very different beverages. Hot cocoa comes from a powder, while hot chocolate is (once again, technically speaking) what many call "drinking chocolate" or "sipping chocolate," made from chopped bits of chocolate or small chocolate pellets that are melted (slowly and painstakingly) and then blended with milk, cream, or water. True hot chocolate tends to be much denser and richer than its powdery relative, and interestingly enough, some Americans are repulsed by this more European beverage because it's so rich. However, this might also be due to the fact that Europeans typically drink smaller quantities of beverages. While both hot cocoa and hot chocolate contain chocolate as the primary ingredient, the process for making hot drinking chocolate versus making hot cocoa is entirely different. All it takes to make a cup of hot cocoa is some hot water or steamed milk and a container full of cocoa powder or a hot chocolate mix (which often contains sugar and other spices). Drinking chocolate, on the other hand, can be made in a variety of different ways using a variety of different chocolatey ingredients. Check out this guide to making drinking chocolate for a detailed explanation of how the process works, but it essentially entails slowly melting down the chocolate, adding in milk or cream and sugar, and serving it up piping hot after a little under an hour of prep time. Drinking chocolate is increasingly available in American cities, but you'll come to expect drinking chocolate in much smaller quantities than hot cocoa is served. For the most part, you're not going to be able to find real hot chocolate kits in most grocery stores in the United States, but even if you see "hot chocolate" printed on a label for powdered cocoa, you're not actually buying real hot chocolate. Instead, you'll be purchasing a hot cocoa mix rebranded as hot chocolate, which will usually contain cocoa powder, sugar, and some form of dehydrated milk and comes out sweet and light in body. Though these may also sometimes contain other spices like vanilla or ground cinnamon to give it an extra kick, you're likely to recognize brands like Swiss Miss, Nestlé, and Ghirardelli brands amongst those that make this pre-packaged beverage mix. On the other hand, hot chocolate must be purchased as individual chocolates and melted over a stovetop or other cooking surface in order to start the process of making a cup of rich, creamy drinking chocolate. While some specialty stores may sell gift packages that include all the chocolate and instruction you'll need to make hot drinking chocolate, you're better off picking out your favorite brand of chocolate confection and following a do it yourself recipe online.